Nitric oxide synthases (NOS) are the enzymes responsible for nitric oxide (NO) generation. NO is a reactive oxygen species as well as a reactive nitrogen species. It is a free radical which mediates several biological effects. It is clear that the generation and actions of NO under physiological and pathophysiological conditions are regulated and extend to almost every cell type and function within the circulation. In mammals 3 distinct isoforms of NOS have been identified: neuronal NOS (nNOS), inducible NOS (iNOS) and endothelial NOS (eNOS). The important isoform in the regulation of insulin resistance (IR) is iNOS. Understanding the molecular mechanisms regulating the iNOS pathway in normal and hyperglycemic conditions would help to explain some of vascular abnormalities observed in type 2 diabetes mellitus (T2DM). Previous studies have reported increased myocardial iNOS activity and expression in heart failure (HF). This review considers the recent animal studies which focus on the understanding of regulation of iNOS activity/expression and the role of iNOS agonists as potential therapeutic agents in treatment of IR, T2DM and HF. 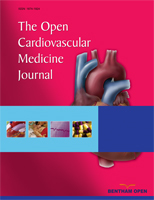 Keywords: Inducible nitric oxide synthase, insulin resistance, diabetes, heart failure..
© Soskić et al. ; Licensee Bentham Open.